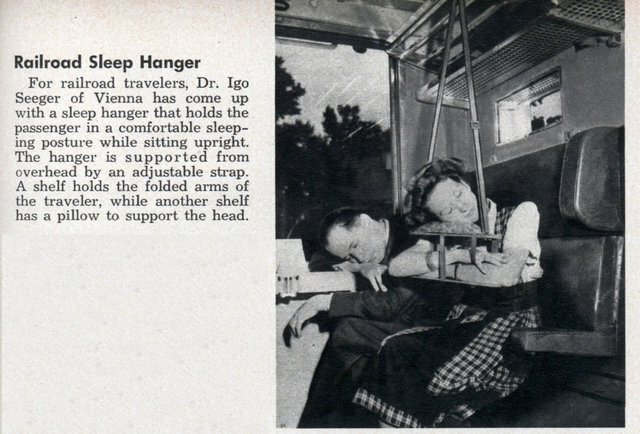 For railroad travelers, Dr. Igo Seeger of Vienna has come up with a sleep hanger that holds the passenger in a comfortable sleeping posture while sitting upright. The hanger is supported from overhead by an adjustable strap. 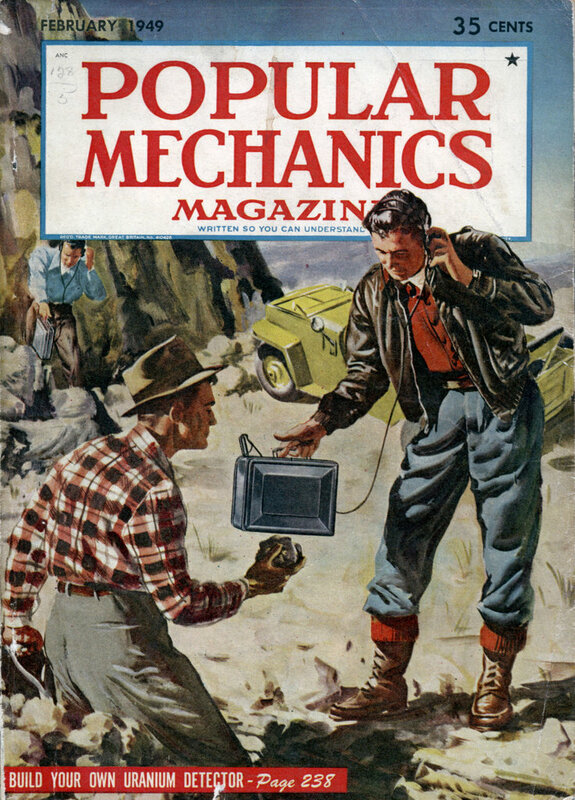 A shelf holds the folded arms of the traveler, while another shelf has a pillow to support the head.